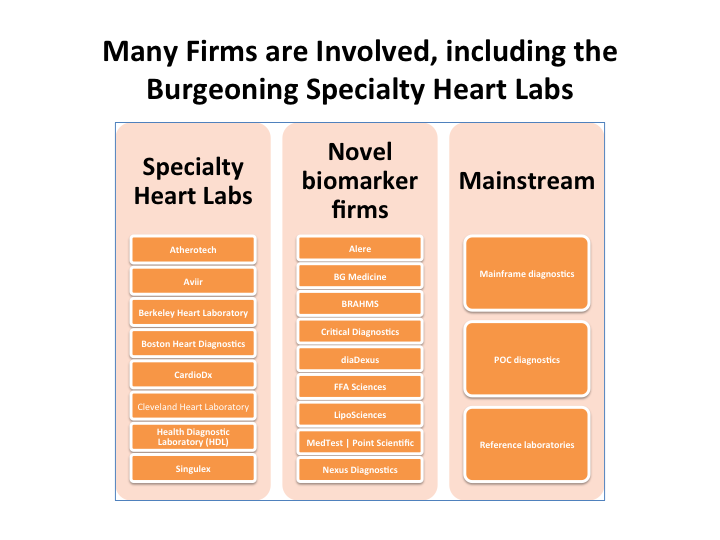 In the US, there are about 50 million troponin, BNP, and other cardiac assays performed annually. At a price of $6 to 25 per test, this equates to a current market of $300 million to $1.25 billion. Moreover, if better biomarkers were available, market research suggests that an additional 6 ½ million acute and 42 million chronic tests could be done for heart failure discharge and monitoring alone. These would be for decompensation and hospital readmission. The resulting potential market would be $40 million to over $1 billion. What drives this biomarker consumption? 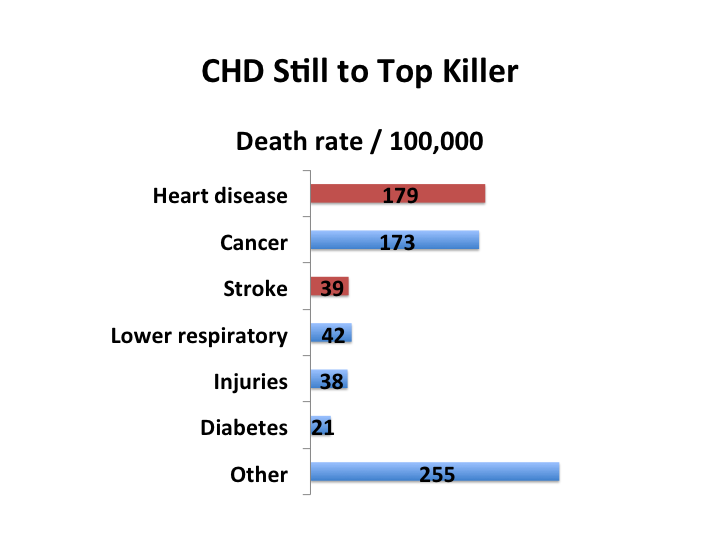 Heart disease is still the #1 killer in the US. 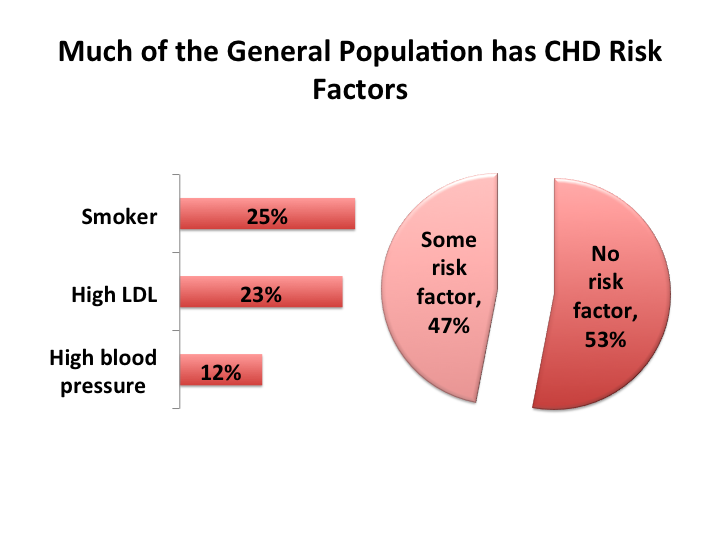 Despite public health efforts, almost ½ of all adults have one or more major risk factors – smoking 25%, high LDL 23%, and/or high blood pressure 12%. From an ischemic point of view, there are related conditions such as deep vein thrombosis, peripheral arterial disease, pulmonary embolism, and stroke – which itself is the #3 killer. In addition to ischemia related conditions, heart failure poses ever greater troubles, as the worst diagnosis related to 30-day hospital readmission. The purpose of this discussion is not to delve deep into each and every biomarker and lab, but to start from the premise of their importance, as noted above and below. Then to highlight the various firms, biomarkers and other aspects currently involved. 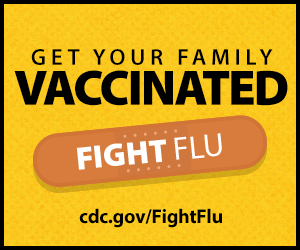 For any given individual, parts of this overview will likely be well known. However, hopefully some of these are not. 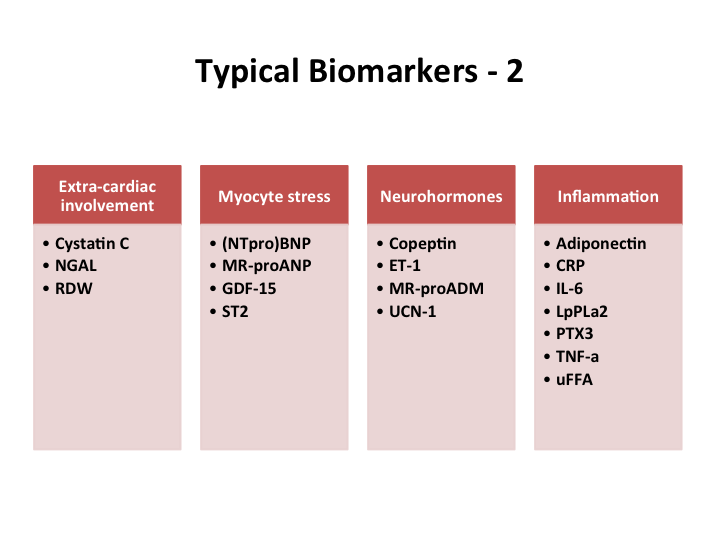 As the figure below shows, there are still a large number of novel biomarker firms involved with cardiac markers. These are complemented by the mainstream diagnostic firms. Interestingly, there is also an emerging group of laboratories specializing in out-patient | chronic cardiac testing. Each of these offers their own proprietary assay(s), as well as a full panel of related tests, both cardiac, and other, e.g., HbA1c for diabetes. Some offer additional wellness or nutritional services, as well as providing their lab services more to primary care, than to cardiac specialists. Now for the biomarkers themselves. 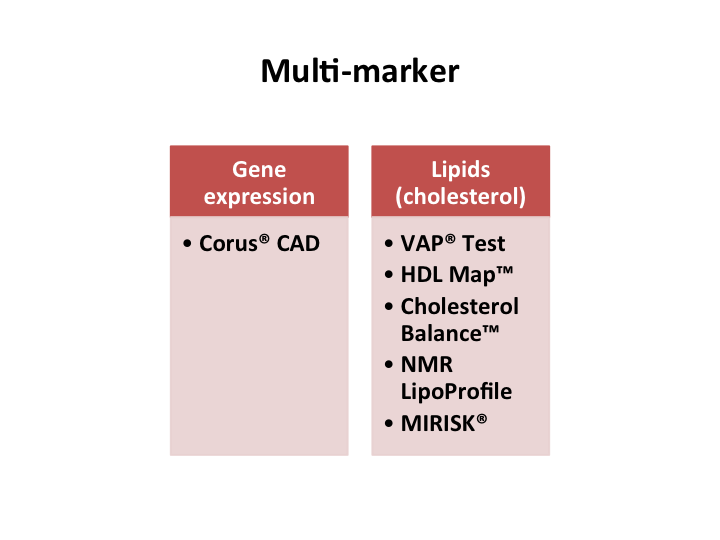 Interestingly, most of the specialty labs offer multiplexed, lipid-based assays. There is also one offering a gene expression assay. 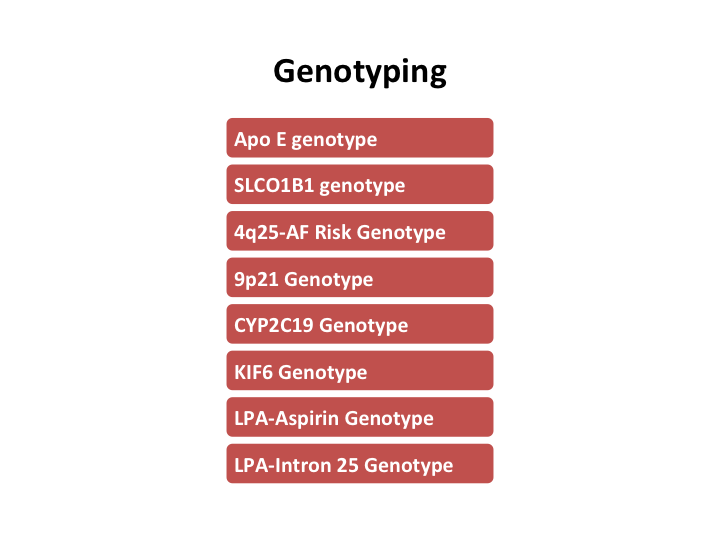 As one might expect, there are more and more genetic assays. 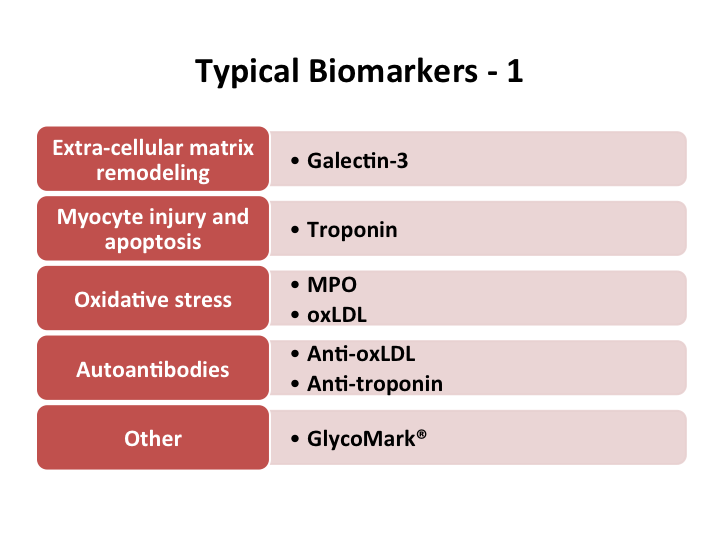 Finally, there are the plethora of typical biomarkers. Here is a presentation outlining the sections of this discussion. should always check blood pressure level through body fat analyzer. of view the heart may beat too fast or too slowly, or irregularly.